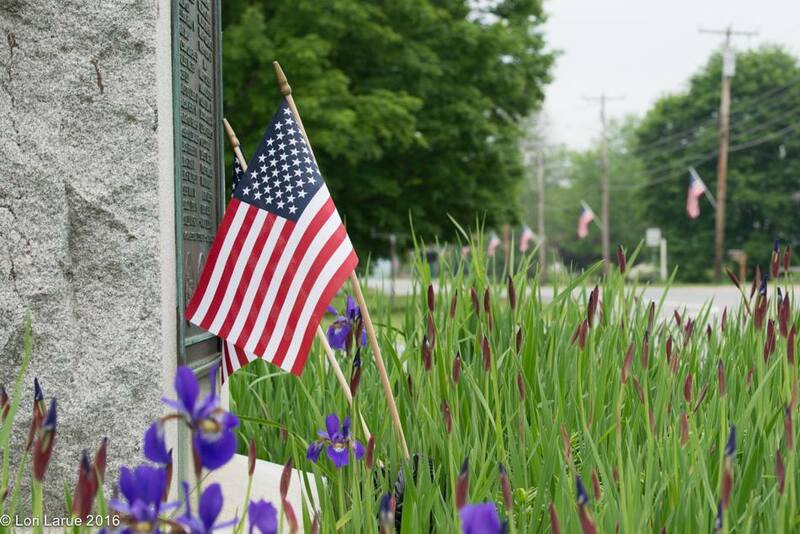 Our town of Westminster placed American flags all along the main street on Memorial Day weekend; they’ll fly until Labor Day. Our uncles, Roger and Ralph, and dad, Hocker Harlow– the second generation on Harlow Farm — all served in the Armed Forces during World War II and just after. We remember them and all the others who have served our country. Photo by Lori Larue.